Happy Birthday to my dear Aunt Rosy. I know. Lots of birthdays in my family recently. I’m not going to complain when I get to make the goods. 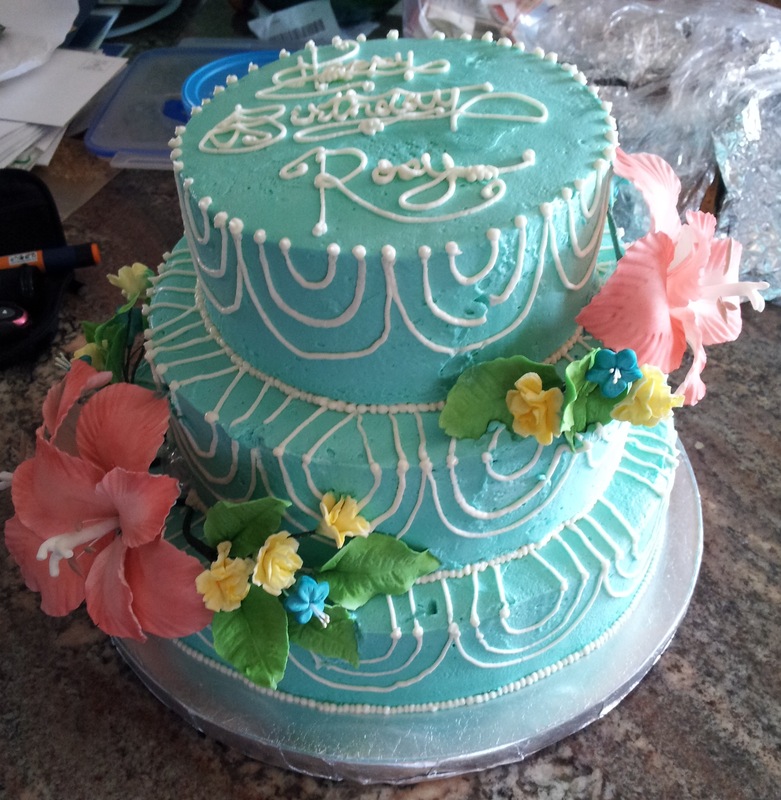 This was a chocolate cake with aqua vanilla buttercream. Just what she wanted. 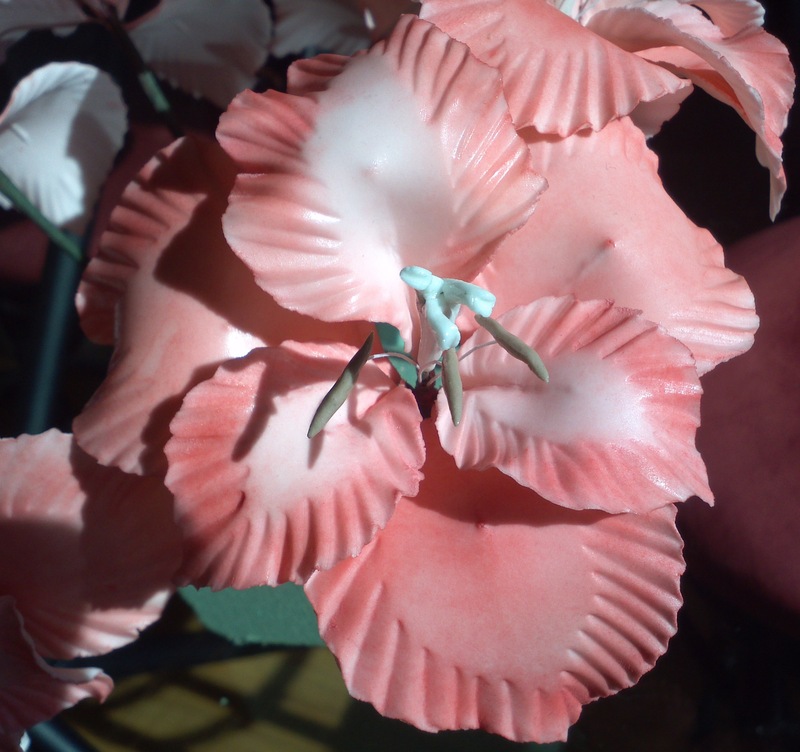 It had sprays of coral pink gum paste gladiolas, yellow baby carnations, and deep aqua blossoms. I made them all ma’self. Gladiolus symbolize strength of character and moral integrity and are the August birth flower. So I thought they were perfect. Happy Birthday to my fellow Augusters! 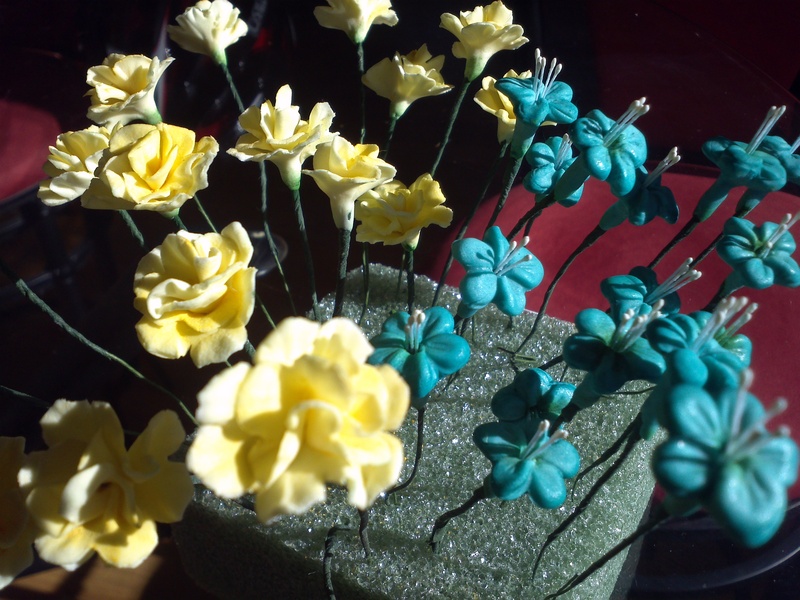 This entry was posted in Cake Designs, Sugar Flowers and tagged aqua, blossom, cake, carnation, chocolate, coral, design, gladiola, gladiolus, gum paste, pink, teal, yellow on August 5, 2012 by Lulu.